The indigenous peoples of the Americas are the pre-Columbian inhabitants of North and South America, and their descendants. Pueblos indÃ­genas (indigenous peoples) is a common term in Spanish-speaking countries. Aborigen (aboriginal/native) is used in Argentina, whereas "Amerindian" is used in Guyana but not commonly in other countries. Indigenous peoples are commonly known in Canada as Aboriginal peoples, which include First Nations, Inuit, and MÃ©tis peoples. Indigenous peoples of the United States are commonly known as Native Americans or American Indians, and Alaska Natives. According to the prevailing New World migration model, migrations of humans from Eurasia (in particular North Asia) to the Americas took place via Beringia, a land bridge which connected the two continents across what is now the Bering Strait. The majority of authorities agree that the earliest migration via Beringia took place at least 13,500 years ago, with disputed evidence that people had migrated into the Americas much earlier, up to 40,000 years ago. These early Paleo-Indians spread throughout the Americas, diversifying into many hundreds of culturally distinct nations and tribes. According to the oral histories of many of the indigenous peoples of the Americas, they have been living there since their genesis, described by a wide range of creation myths. Although some indigenous peoples of the Americas were traditionally hunter-gatherersâ"and many, especially in Amazonia, still areâ"many groups practiced aquaculture and agriculture. The impact of their agricultural endowment to the world is a testament to their time and work in reshaping and cultivating the flora indigenous to the Americas. Although some societies depended heavily on agriculture, others practiced a mix of farming, hunting, and gathering. In some regions the indigenous peoples created monumental architecture, large-scale organized cities, chiefdoms, states, and empires. Many parts of the Americas are still populated by indigenous Americans; some countries have sizable populations, especially Belize, Bolivia, Colombia, Ecuador, Greenland, Guatemala, Mexico, and Peru. At least a thousand different indigenous languages are spoken in the Americas. Some, such as Quechua, Aymara, GuaranÃ­, Mayan languages, and Nahuatl, count their speakers in millions. Many also maintain aspects of indigenous cultural practices to varying degrees, including religion, social organization, and subsistence practices. Like most cultures, over time, cultures specific to many Indigenous peoples have evolved to incorporate traditional aspects, but also cater to modern needs. Some indigenous peoples still live in relative isolation from Western society, and a few are still counted as uncontacted peoples. The specifics of Paleo-Indian migration to and throughout the Americas, including the exact dates and routes traveled, provide the subject of ongoing research and discussion. According to archaeological and genetic evidence, North and South America were the last continents in the world with human habitation. During the Wisconsin glaciation, 50,000â"17,000 years ago, falling sea levels allowed people to move across the Bering land bridge that joined Siberia to north west North America (Alaska). Alaska was ice-free because of low snowfall, allowing a small population to exist. The Laurentide ice sheet covered most of North America, blocking nomadic inhabitants and confining them to Alaska (East Beringia) for thousands of years. Indigenous genetic studies suggest that the first inhabitants of the Americas share a single ancestral population, one that developed in isolation, conjectured to be Beringia. The isolation of these peoples in Beringia might have lasted 10,000â"20,000 years. Around 16,500 years ago, the glaciers began melting, allowing people to move south and east into Canada and beyond. These people are believed to have followed herds of now-extinct Pleistocene megafauna along ice-free corridors that stretched between the Laurentide and Cordilleran ice sheets. Another route proposed involves migration - either on foot or using primitive boats - along the Pacific Northwest coast to South America. Evidence of the latter would have been covered by a sea level rise of more than 120 meters since the last ice age. The time range of 40,000â"16,500 years ago is a hot topic of debate and probably will remain so for years to come. The few agreements achieved to date include:. The Clovis culture, the earliest definitively dated prehistoric Paleo-Indian culture in the Americas, appears around 11,500 RCBP (radiocarbon years before present), equivalent to 13,500 to 13,000 calendar years ago. In 2014, the autosomal DNA of a 12,500+-year-old infant from Montana found in close association with several Clovis artifacts was sequenced. The data indicate that the individual was from a population directly ancestral to present South American and Central American Native American populations, and closely related to present North American Native American populations. The implication is that there was an early divergence between North American and Central American plus South American populations. Hypotheses which posit that invasions subsequent to the Clovis culture overwhelmed or assimilated previous migrants into the Americas were ruled out. Similarly, the skeleton of a teenage girl (named 'Naia', after a water nymph from Greek mythology) found in the underwater cave system of Sac Actun in Mexico's eastern YucatÃ¡n peninsula in 2007 has had DNA extracted, and at 13,000 years old is considered the oldest genetically intact human skeleton ever found in the western hemisphere. The DNA indicates she was from a lineage, derived from Asian origins, that is represented in modern native population's DNA. Stone tools, particularly projectile points and scrapers, are the primary evidence of the earliest human activity in the Americas. Crafted lithic flaked tools are used by archaeologists and anthropologists to classify cultural periods. The Pre-Columbian era incorporates all period subdivisions in the history and prehistory of the Americas before the appearance of significant European and African influences on the American continents, spanning the time of the original settlement in the Upper Paleolithic to European colonization during the Early Modern period. While technically referring to the era before Christopher Columbus's voyages of 1492 to 1504, in practice the term usually includes the history of American indigenous cultures until Europeans either conquered or significantly influenced them, even if this happened decades or even centuries after Columbus' initial landing. "Pre-Columbian" is used especially often in the context of discussing the great indigenous civilizations of the Americas, such as those of Mesoamerica (the Olmec, the Toltec, the Teotihuacano, the Zapotec, the Mixtec, the Aztec, and the Maya) and those of the Andes (Inca, Moche, Chibcha, CaÃ±aris). Many pre-Columbian civilizations established characteristics and hallmarks which included permanent or urban settlements, agriculture, civic and monumental architecture, and complex societal hierarchies. Some of these civilizations had long faded by the time of the first significant European and African arrivals (ca. late 15thâ"early 16th centuries), and are known only through oral history and through archaeological investigations. Others were contemporary with this period, and are also known from historical accounts of the time. A few, such as the Mayan, Olmec, Mixtec, and Nahua peoples, had their own written records. However, the European colonists of the time worked to eliminate non-Christian beliefs, and Christian pyres destroyed many pre-Columbian written records. Only a few documents remained hidden and surviced, leaving contemporary historians with glimpses of ancient culture and knowledge. According to both indigenous American and European accounts and documents, American civilizations at the time of European encounter had achieved many accomplishments. For instance, the Aztecs built one of the largest cities in the world, Tenochtitlan, the ancient site of Mexico City, with an estimated population of 200,000. American civilizations also displayed impressive accomplishments in astronomy and mathematics. The domestication of maize or corn required thousands of years of selective breeding. Inuit, Alaskan Native, and American Indian creation myths tell of a variety of origins of their respective peoples. Some were "always there" or were created by gods or animals, some migrated from a specified compass point, and others came from "across the ocean". The European colonization of the Americas forever changed the lives and cultures of the peoples of the continents. Although the exact pre-contact population of the Americas is unknown, scholars estimate that Native American populations diminished by between 80 and 90% within the first centuries of contact with Europeans. The leading cause was disease. The continent was ravaged by epidemics of diseases such as smallpox, measles, and cholera, which were brought from Europe by the early explorers and spread quickly into new areas even before later explorers and colonists reached them. Native Americans suffered high mortality rates due to their lack of prior exposure to these diseases. The loss of lives was exacerbated by conflict between colonists and indigenous people. Colonists also frequently perpetrated massacres on the indigenous groups and enslaved them. According to the U.S. Bureau of the Census (1894), the North American Indian Wars of the 19th century cost the lives of about 19,000 whites and 30,000 Native Americans. The first indigenous group encountered by Columbus were the 250,000 TaÃ­nos of Hispaniola who represented the dominant culture in the Greater Antilles and the Bahamas. Within thirty years about 70% of the TaÃ­nos had died. They had no immunity to European diseases, so outbreaks of measles and smallpox ravaged their population. Increasing punishment of the TaÃ­nos for revolting against forced labour, despite measures put in place by the encomienda, which included religious education and protection from warring tribes, eventually led to the last great TaÃ­no rebellion. Following years of gross mistreatment, the TaÃ­nos began to adopt suicidal behaviors, with women aborting or killing their infants and men jumping from the cliffs or ingesting manioc, a violent poison. Eventually, a TaÃ­no Cacique named Enriquillo managed to hold out in the mountain range of Bahoruco for thirteen years, causing serious damage to the Spanish, Carib-held plantations and their Indian auxiliaries. Hearing of the seriousness of the revolt, Emperor Charles V (also King of Spain) sent captain Francisco Barrionuevo to negotiate a peace treaty with the ever-increasing number of rebels. Two months later, after consultation with the Audencia of Santo Domingo, Enriquillo was offered any part of the island to live in peace. The Laws of Burgos, 1512-1513, were the first codified set of laws governing the behavior of Spanish settlers in America, particularly with regard to native Indians. The laws forbade the maltreatment of natives and endorsed their conversion to Catholicism. The Spanish crown found it difficult to enforce these laws in a distant colony. Various theories for the decline of the Native American populations emphasize epidemic diseases, conflicts with Europeans, and conflicts among warring tribes. Scholars now believe that, among the various contributing factors, epidemic disease was the overwhelming cause of the population decline of the American natives. Some believe that after first contacts with Europeans and Africans, Old World diseases caused the death of 90 to 95% of the native population of the New World. Smallpox killed up to one third of the native population of Hispaniola in 1518. By killing the Incan ruler Huayna Capac, smallpox had brought the Incas into a civil war. Smallpox was only the first epidemic. Typhus (probably) in 1546, influenza and smallpox together in 1558, smallpox again in 1589, diphtheria in 1614, measles in 1618â"all ravaged the remains of Inca culture. Smallpox had killed millions of native inhabitants of Mexico. Unintentionally introduced at Veracruz with the arrival of PÃ¡nfilo de NarvÃ¡ez on April 23, 1520, smallpox ravaged Mexico in the 1520s, possibly killing over 150,000 in Tenochtitlan alone (the heartland of the Aztec Empire), and aiding in the victory of HernÃ¡n CortÃ©s over the Aztec empire at Tenochtitlan (present-day Mexico City) in 1521. Over the centuries, the Europeans had developed high degrees of immunity to these diseases, while the indigenous Americans had no immunity. Explorations of the Caribbean led to the discovery of the Arawak peoples of the Lesser Antilles. The culture was destroyed by 1650. Only 500 had survived by the year 1550, though the bloodlines continued through to the modern populace. In Amazonia, indigenous societies weathered centuries of colonization. Contact with European diseases such as smallpox and measles killed between 50 and 67 per cent of the Aboriginal population of North America in the first hundred years after the arrival of Europeans. Some 90 per cent of the native population near Massachusetts Bay Colony died of smallpox in an epidemic in 1617â"1619. In 1633, in Plymouth, the Native Americans there were exposed to smallpox because of contact with Europeans. As it had done elsewhere, the virus wiped out entire population groups of Native Americans. It reached Lake Ontario in 1636, and the lands of the Iroquois by 1679. During the 1770s, smallpox killed at least 30% of the West Coast Native Americans. Smallpox epidemics in 1780â"1782 and 1837â"1838 brought devastation and drastic population depletion among the Plains Indians. In 1832, the federal government of the United States established a smallpox vaccination program for Native Americans (The Indian Vaccination Act of 1832). In Brazil, the indigenous population declined from a pre-Columbian high of an estimated three million to some 300,000 in 1997. The Spaniards and other Europeans brought horses to the Americas. Some of these animals escaped and began to breed and increase their numbers in the wild. The re-introduction of the horse, extinct in the Americas for over 7,500 years, had a profound impact on Native American culture in the Great Plains of North America and of Patagonia in South America. By domesticating horses, some tribes had great success: horses enabled them to expand their territories, exchange more goods with neighboring tribes, and more easily capture game, especially bison. Over the course of thousands of years, American indigenous peoples domesticated, bred and cultivated a large array of plant species. These species now constitute 50â"60% of all crops in cultivation worldwide. In certain cases, the indigenous peoples developed entirely new species and strains through artificial selection, as was the case in the domestication and breeding of maize from wild teosinte grasses in the valleys of southern Mexico. Numerous such agricultural products retain their native names in the English and Spanish lexicons. The South American highlands were a center of early agriculture. Genetic testing of the wide variety of cultivars and wild species suggests that the potato has a single origin in the area of southern Peru, from a species in the Solanum brevicaule complex. Over 99% of all modern cultivated potatoes worldwide are descendants of a subspecies indigenous to south-central Chile, Solanum tuberosum ssp. tuberosum, where it was cultivated as long as 10,000 years ago. According to George Raudzens, "It is clear that in pre-Columbian times some groups struggled to survive and often suffered food shortages and famines, while others enjoyed a varied and substantial diet." The persistent drought around 850 AD coincided with the collapse of Classic Maya civilization, and the famine of One Rabbit (AD 1454) was a major catastrophe in Mexico. Natives of North America began practicing farming approximately 4,000 years ago, late in the Archaic period of North American cultures. Technology had advanced to the point that pottery was becoming common and the small-scale felling of trees had become feasible. Concurrently, the Archaic Indians began using fire in a controlled manner. Intentional burning of vegetation was used to mimic the effects of natural fires that tended to clear forest understories. It made travel easier and facilitated the growth of herbs and berry-producing plants, which were important for both food and medicines. In the Mississippi River valley, Europeans noted Native Americans' managed groves of nut and fruit trees not far from villages and towns and their gardens and agricultural fields. Further away, prescribed burning would have been used in forest and prairie areas. Many crops first domesticated by indigenous Americans are now produced and used globally. Chief among these is maize or "corn", arguably the most important crop in the world. Other significant crops include cassava, chia, squash (pumpkins, zucchini, marrow, acorn squash, butternut squash), the pinto bean, Phaseolus beans including most common beans, tepary beans and lima beans, tomatoes, potatoes, avocados, peanuts, cocoa beans (used to make chocolate), vanilla, strawberries, pineapples, Peppers (species and varieties of Capsicum, including bell peppers, jalapeÃ±os, paprika and chili peppers) sunflower seeds, rubber, brazilwood, chicle, tobacco, coca, manioc and some species of cotton. Studies of contemporary indigenous environmental management, including agro-forestry practices among Itza Maya in Guatemala and hunting and fishing among the Menominee of Wisconsin, suggest that longstanding "sacred values" may represent a summary of sustainable millennial traditions. Cultural practices in the Americas seem to have been shared mostly within geographical zones where unrelated peoples adopted similar technologies and social organizations. An example of such a cultural area is Mesoamerica, where millennia of coexistence and shared development among the peoples of the region produced a fairly homogeneous culture with complex agricultural and social patterns. Another well-known example is the North American plains where until the 19th century several peoples shared the traits of nomadic hunter-gatherers based primarily on buffalo hunting. The development of writing is counted among the many achievements and innovations of pre-Columbian American cultures. Independent from the development of writing in other areas of the world, the Mesoamerican region produced several indigenous writing systems beginning in the 1st millennium BCE. What may be the earliest-known example in the Americas of an extensive text thought to be writing is by the Cascajal Block. The Olmec hieroglyphs tablet has been indirectly dated from ceramic shards found in the same context to approximately 900 BCE, around the time that Olmec occupation of San Lorenzo TenochtitlÃ¡n began to wane. The Maya writing system (often called hieroglyphs from a superficial resemblance to the Ancient Egyptian writing) was a combination of phonetic symbols and logograms. It is most often classified as a logographic or (more properly) a logosyllabic writing system, in which syllabic signs play a significant role. It is the only pre-Columbian writing system known to represent completely the spoken language of its community. In total, the script has more than one thousand different glyphs although a few are variations of the same sign or meaning and many appear only rarely or are confined to particular localities. At any one time, no more than about five hundred glyphs were in use, some two hundred of which (including variations) had a phonetic or syllabic interpretation. Aztec codices (singular codex) are books written by pre-Columbian and colonial-era Aztecs. These codices provide some of the best primary sources for Aztec culture. The pre-Columbian codices differ from European codices in that they are largely pictorial; they were not meant to symbolize spoken or written narratives. The colonial era codices not only contain Aztec pictograms, but also Classical Nahuatl (in the Latin alphabet), Spanish, and occasionally Latin. Spanish mendicants in the sixteenth century taught indigenous scribes in their communities to write their languages in Latin letters and there is a large number of local-level documents in Nahuatl, Zapotec, Mixtec, and Yucatec Maya from the colonial era, many of which were part of lawsuits and other legal matters. Although Spaniards initially taught indigenous scribes alphabetic writing, the tradition became self-perpetuating at the local level. The Spanish crown gathered such documentation and contemporary Spanish translations were made for legal cases. Scholars have translated and analyzed these documents in what is called the New Philology to write histories of indigenous peoples from indigenous viewpoints. Native American music in North America is almost entirely monophonic, but there are notable exceptions. Traditional Native American music often centers around drumming. Rattles, clappersticks, and rasps were also popular percussive instruments. Flutes were made of rivercane, cedar, and other woods. The tuning of these flutes is not precise and depends on the length of the wood used and the hand span of the intended player, but the finger holes are most often around a whole step apart and, at least in Northern California, a flute was not used if it turned out to have an interval close to a half step. The Apache fiddle is a single stringed instrument. The music of the indigenous peoples of Central Mexico and Central America was often pentatonic. Before the arrival of the Spaniards and other Europeans, music was inseparable from religious festivities and included a large variety of percussion and wind instruments such as drums, flutes, sea snail shells (used as a trumpet) and "rain" tubes. No remnants of pre-Columbian stringed instruments were found until archaeologists discovered a jar in Guatemala, attributed to the Maya of the Late Classic Era (600â"900 CE), which depicts a stringed musical instrument which has since been reproduced. This instrument is one of the very few stringed instruments known in the Americas prior to the introduction of European musical instruments; when played it produces a sound virtually identical to a jaguar's growl. Visual arts by indigenous peoples of the Americas comprise a major category in the world art collection. Contributions include pottery, paintings, jewellery, weavings, sculptures, basketry, carvings, and beadwork. Because too many artists were posing as Native Americans and Alaska Natives in order to profit from the cachÃ© of Indigenous art in the United States, the U.S. passed the Indian Arts and Crafts Act of 1990, requiring artists to prove that they are enrolled in a state or federally recognized tribe. To support the ongoing practice of American Indian, Alaska Native and Native Hawaiian arts and cultures in the United States, the Ford Foundation, arts advocates and American Indian tribes created an endowment seed fund and established a national Native Arts and Cultures Foundation in 2007. Mestizos (European with indigenous peoples) number about 34 percent of the population; unmixed Maya make up another 10.6 percent (Ketchi, Mopan, and Yucatec). The Garifuna, who came to Belize in the 19th century, originating from Saint Vincent and the Grenadines, with a mixed African, Carib, and Arawak ancestry make up another 6% of the population. In Bolivia, a 62% majority of residents over the age of 15 self-identify as belonging to an indigenous people, while another 3.7% grew up with an indigenous mother tongue yet do not self-identify as indigenous. Including both of these categories, and children under 15, some 66.4% of Bolivia's population was registered as indigenous in the 2001 Census. The largest indigenous ethnic groups are: Quechua, about 2.5 million people; Aymara, 2.0 million; Chiquitano, 181,000; GuaranÃ­, 126,000; and MojeÃ±o, 69,000. Some 124,000 belong to smaller indigenous groups. The Constitution of Bolivia, enacted in 2009, recognizes 36 cultures, each with its own language, as part of a plurinational state. Some groups, including CONAMAQ (the National Council of Ayllus and Markas of Qullasuyu) draw ethnic boundaries within the Quechua- and Aymara-speaking population, resulting in a total of fifty indigenous peoples native to Bolivia. Large numbers of Bolivian highland peasants retained indigenous language, culture, customs, and communal organization throughout the Spanish conquest and the post-independence period. They mobilized to resist various attempts at the dissolution of communal landholdings and used legal recognition of "empowered caciques" to further communal organization. Indigenous revolts took place frequently until 1953. While the National Revolutionary Movement government begun in 1952 discouraged self-identification as indigenous (reclassifying rural people as campesinos, or peasants), renewed ethnic and class militancy re-emerged in the Katarista movement beginning in the 1970s. Lowland indigenous peoples, mostly in the east, entered national politics through the 1990 March for Territory and Dignity organized by the CIDOB confederation. That march successfully pressured the national government to sign the ILO Convention 169 and to begin the still-ongoing process of recognizing and titling indigenous territories. The 1994 Law of Popular Participation granted "grassroots territorial organizations" that are recognized by the state certain rights to govern local areas. Some radio and television programs in Quechua and Aymara are produced. The constitutional reform in 1997 recognized Bolivia as a multilingual, pluri-ethnic society and introduced education reform. In 2005, for the first time in the country's history, an indigenous Aymara, Evo Morales, was elected as President. Morales began work on his "indigenous autonomy" policy, which he launched in the eastern lowlands department on August 3, 2009, making Bolivia the first country in the history of South America to affirm the right of indigenous people to govern themselves. Speaking in Santa Cruz Department, the President called it "a historic day for the peasant and indigenous movement", saying that, though he might make errors, he would "never betray the fight started by our ancestors and the fight of the Bolivian people". A vote on further autonomy will take place in referendums which are expected to be held in December 2009. The issue has divided the country. Indigenous peoples of Brazil make up 0.4% of Brazil's population, or about 700,000 people, even though millions of Brazilians have some indigenous ancestry. Indigenous peoples are found in the entire territory of Brazil, although the majority of them live in Indian reservations in the North and Center-Western part of the country. On January 18, 2007, FUNAI reported that it had confirmed the presence of 67 different uncontacted tribes in Brazil, up from 40 in 2005. With this addition Brazil has now overtaken the island of New Guinea as the country having the largest number of uncontacted tribes. In a 2007 news story, The Washington Post reported, "As has been proved in the past when uncontacted tribes are introduced to other populations and the microbes they carry, maladies as simple as the common cold can be deadly. In the 1970s, 185 members of the Panara tribe died within two years of discovery after contracting such diseases as flu and chickenpox, leaving only 69 survivors." Aboriginal peoples in Canada comprise the First Nations, Inuit and MÃ©tis; the descriptors "Indian" and "Eskimo" are falling into disuse, and other than in neighboring Alaska Alaska "Eskimo" "is considered derogatory in many other places because it was given by non-Inuit people and was said to mean "eater of raw meat." Hundreds of Aboriginal nations evolved trade, spiritual and social hierarchies. The MÃ©tis culture of mixed blood originated in the mid-17th century when First Nation and native Inuit married European settlers. The Inuit had more limited interaction with European settlers during that early period. Various laws, treaties, and legislation have been enacted between European immigrants and First Nations across Canada. Aboriginal Right to Self-Government provides opportunity to manage historical, cultural, political, health care and economic control aspects within first people's communities. Although not without conflict, European/Canadian early interactions with First Nations and Inuit populations were relatively peaceful compared to the experience of native peoples in the United States. Combined with a late economic development in many regions, this relatively peaceful history has allowed Canadian Indigenous peoples to have a fairly strong influence on the early national culture while preserving their own identity. From the late 18th century, European Canadians encouraged Aboriginals to assimilate into their own culture, referred to as "Canadian culture". These attempts reached a climax in the late 19th and early 20th centuries with forced integration. National Aboriginal Day recognises the cultures and contributions of Aboriginal peoples of Canada. There are currently over 600 recognized First Nations governments or bands encompassing 1,172,790 2006 people spread across Canada with distinctive Aboriginal cultures, languages, art, and music. According to the 2002 Census, 4.6% of the Chilean population, including the Rapanui of Easter Island, was indigenous, although most show varying degrees of mixed heritage. Many are descendants of the Mapuche, and live in Santiago, AraucanÃ­a and the lake district. The Mapuche successfully fought off defeat in the first 300â"350 years of Spanish rule during the Arauco War. Relations with the new Chilean Republic were good until the Chilean state decided to occupy their lands. During the Occupation of AraucanÃ­a the Mapuche surrendered to the country's army in the 1880s. Their land was opened to settlement by Chileans and Europeans. Conflict over Mapuche land rights continues to the present. Other groups include the Aymara, the majority of whom live in Bolivia and Peru, with smaller numbers in the Arica-Parinacota and TarapacÃ¡ Regions, and the Atacama people (AtacameÃ±os), who reside mainly in El Loa. A minority today within Colombia's overwhelmingly Mestizo and Afro-Colombian population, Colombia's indigenous peoples consist of around 85 distinct cultures and more than 1,378,884 people. A variety of collective rights for indigenous peoples are recognized in the 1991 Constitution. One of the influences is the Muisca culture, a subset of the larger Chibcha ethnic group, famous for their use of gold, which led to the legend of El Dorado. At the time of the Spanish conquest, the Chibchas were the largest native civilization geographically between the Incas and the Aztecs empires. There are over 60,000 inhabitants of Native American origins, representing 1.5% of the population. Most of them live in secluded reservations, distributed among eight ethnic groups: QuitirrisÃ­ (In the Central Valley), MatambÃº or Chorotega (Guanacaste), Maleku (Northern Alajuela), Bribri (Southern Atlantic), CabÃ©car (Cordillera de Talamanca), GuaymÃ­ (Southern Costa Rica, along the PanamÃ¡ border), Boruca (Southern Costa Rica) and TÃ©rraba (Southern Costa Rica). In Cuba the population of Amerindians includes 0.1 of the population and 0.2 part Native which is also part of the population. Many are from the Taino people or Arawak people. When the Spanish Empire was in control of the island they used the Natives as slaves and many died from diseases, hence decreasing the population. Presently 0.3 of the population of Cuba consists of part Native and full-blooded Amerindians. Ecuador was the site of many indigenous cultures, and civilizations of different proportions. An early sedentary culture, known as the Valdivia culture, developed in the coastal region, while the Caras and the Quitus unified to form an elaborate civilization that ended at the birth of the Capital Quito. The CaÃ±aris near Cuenca were the most advanced, and most feared by the Inca, due to their fierce resistance to the Incan expansion. Their architecture remains were later destroyed by Spaniards and the Incas. Approximately 96.4% of Ecuador's Indigenous population are Highland Quichuas living in the valleys of the Sierra region. 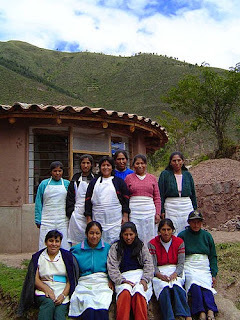 Primarily consisting of the descendents of Incans, they are Kichwa speakers and include the Caranqui, the Otavalos, the Cayambi, the Quitu-Caras, the Panzaleo, the Chimbuelo, the Salasacan, the Tugua, the PuruhÃ¡, the CaÃ±ari, and the Saraguro. Linguistic evidence suggests that the Salascan and the Saraguro may have been the descendants of Bolivian ethnic groups transplanted to Ecuador as mitimaes. Coastal groups, including the AwÃ¡, Chachi, and the TsÃ¡chila, make up 0.24% percent of the indigenous population, while the remaining 3.35 percent live in the Oriente and consist of the Oriente Kichwa (the Canelo and the Quijos), the Shuar, the Huaorani, the Siona-Secoya, the CofÃ¡n, and the Achuar. In 1986, indigenous people formed the first "truly" national political organization. The Confederation of Indigenous Nationalities of Ecuador (CONAIE) has been the primary political institution of the Indigenous since then and is now the second largest political party in the nation. It has been influential in national politics, contributing to the ouster of presidents AbdalÃ¡ Bucaram in 1997 and Jamil Mahuad in 2000. Most of the indigenous peoples of Guatemala are of Maya heritage. The Xinca people are a non-Maya indigenous people. Pure Maya account for some forty percent of the population; although around forty percent of the population speaks an indigenous language, those tongues (of which there are more than twenty) enjoy no official status. Guatemala's majority population holds a percentage of 59.4% in White or Mestizo (of mixed European and indigenous ancestry) people. The area of Livingston, Guatemala is highly influenced by the Caribbean and its population includes a combination of Mestizos and Garifuna people. The territory of modern-day Mexico was home to numerous indigenous civilizations prior to the arrival of the Spanish conquistadores: The Olmecs, who flourished from between 1200 BCE to about 400 BCE in the coastal regions of the Gulf of Mexico; the Zapotecs and the Mixtecs, who held sway in the mountains of Oaxaca and the Isthmus of Tehuantepec; the Maya in the Yucatan (and into neighbouring areas of contemporary Central America); the P'urhÃ©pecha or Tarascan in present day MichoacÃ¡n and surrounding areas, and the Aztecs/Mexica, who, from their central capital at Tenochtitlan, dominated much of the centre and south of the country (and the non-Aztec inhabitants of those areas) when HernÃ¡n CortÃ©s first landed at Veracruz. In the states of Chiapas and Oaxaca and in the interior of the Yucatan peninsula the majority of the population is indigenous. Large indigenous minorities, including Aztecs or Nahua, P'urhÃ©pechas, Mazahua, Otomi, and Mixtecs are also present in the central regions of Mexico. In Northern Mexico indigenous people are a small minority. The "General Law of Linguistic Rights of the Indigenous Peoples" grants all indigenous languages spoken in Mexico, regardless of the number of speakers, the same validity as Spanish in all territories in which they are spoken, and indigenous peoples are entitled to request some public services and documents in their native languages. Along with Spanish, the law has granted themÂ â" more than 60 languagesÂ â" the status of "national languages". The law includes all indigenous languages of the Americas regardless of origin; that is, it includes the indigenous languages of ethnic groups non-native to the territory. As such the National Commission for the Development of Indigenous Peoples recognizes the language of the Kickapoo, who immigrated from the United States, and recognizes the languages of the Guatemalan indigenous refugees. The Mexican government has promoted and established bilingual primary and secondary education in some indigenous rural communities. Nonetheless, of the indigenous peoples in Mexico, only about 67% of them (or 5.4% of the country's population) speak an indigenous language and about a sixth do not speak Spanish (1.2% of the country's population). About 5% of the Nicaraguan population are indigenous. The largest indigenous group in Nicaragua is the Miskito people. Their territory extended from Cape CamarÃ³n, Honduras, to Rio Grande, Nicaragua along the Mosquito Coast. There is a native Miskito language, but large groups speak Miskito Coast Creole, Spanish, Rama and other languages. The Creole English came about through frequent contact with the British who colonized the area. Many are Christians. Traditional Miskito society was highly structured with a defined political structure. There was a king, but he did not have total power. Instead, the power was split between himself, a governor, a general, and by the 1750s, an admiral. Historical information on kings is often obscured by the fact that many of the kings were semi-mythical. Another major group is the Mayangna (or Sumu) people, counting some 10,000 people. Other indigenous groups in Nicaragua are located in the Central and Northern Pacific area and they are self-identified as follows: Chorotega, Cacaopera, Xiu-Subtiaba and Nahoa. Indigenous population in Peru make up around 30% Native Peruvian traditions and customs have shaped the way Peruvians live and see themselves today. Cultural citizenshipâ"or what Renato Rosaldo has called, "the right to be different and to belong, in a democratic, participatory sense" (1996:243)â"is not yet very well developed in Peru. This is perhaps no more apparent than in the country's Amazonian regions where indigenous societies continue to struggle against state-sponsored economic abuses, cultural discrimination, and pervasive violence. Indigenous peoples in what is now the contiguous United States, including their descendants, are commonly called "Amerindian", "American Indians", or simply "Indians" domestically, but are officially referred to as "Native Americans" by the USCB. In Alaska, indigenous peoples, which include Athabascan, Aleut, Alutiiq, Cup'ik, Haida, Inuit, IÃ±upiat, Tlingit, and Yup'ik, are referred to collectively as Alaska Natives. In Hawaii, indigenous Polynesian peoples, which include Marshallese, Samoan, Tahitian, and Tongan, are referred to collectively as Native Hawaiians, which is sometimes included within the broader Pacific Islands American definition. Native Americans in the United States make up two percent of the population. In the 2010 census, 2.9 million people identified as Native American, Native Hawaiian, and Alaska Native alone, and 5.2 million people identified as U.S. Native Americans, either alone or in combination with one or more ethnicity or other races. 1.8 million are recognized as registered tribal members. Tribes have established their own criteria for membership, which are often based on blood quantum, lineal descent, or residency. A minority of U.S. Native Americans live in land units called Indian reservations. Some southwestern U.S. tribes, such as the Kumeyaay, Cocopa, Pascua Yaqui and Apache span both sides of the USâ"Mexican border. Haudenosaunee people have the legal right to freely cross the USâ"Canadian border. Athabascan, Tlingit, Haida, Tsimshian, Inupiat, Blackfeet, Nakota, Cree, Anishinaabe, Huron, Lenape, Mi'kmaq, Penobscot, and Haudenosaunee, among others live in both Canada and the US. Most Venezuelans have some indigenous heritage, but the indigenous population make up only around 2% of the total population. They speak around 29 different languages and many more dialects, but some of the ethnic groups are very small and their languages are in danger of becoming extinct in the next decades. The most important indigenous groups are the Ye'kuana, the Wayuu, the Pemon and the Warao. The most advanced native people to have lived in present-day Venezuela is thought to have been the Timoto-cuicas, who mainly lived in the Venezuelan Andes. In total it is estimated that there were between 350 thousand and 500 thousand inhabitants, the most densely populated area being the Andean region (Timoto-cuicas), thanks to the advanced agricultural techniques used. The 1999 constitution of Venezuela gives them special rights, although the vast majority of them still live in very critical conditions of poverty. The largest groups receive some basic primary education in their languages. Indigenous peoples make up the majority of the population in Bolivia and Peru, and are a significant element in most other former Spanish colonies. Exceptions to this include Uruguay (Native CharrÃºa). According to the 2011 Census, 2.4% of Uruguayans reported having indigenous ancestry. At least four of the native American languages (Quechua in Peru and Bolivia; Aymara also in Peru and Bolivia, Guarani in Paraguay, and Greenlandic in Greenland) are recognized as official languages. The Native American name controversy is an ongoing dispute over the acceptable ways to refer to the indigenous peoples of the Americas and to broad subsets thereof, such as those living in a specific country or sharing certain cultural attributes. In recent years, there has been a rise of indigenous movements in the Americas (mainly South America). These are rights-driven groups that organize themselves in order to achieve some sort of self-determination and the preservation of their culture for their peoples. Organizations like the Coordinator of Indigenous Organizations of the Amazon River Basin and the Indian Council of South America are examples of movements that are breaking the barrier of borders in order to obtain rights for Amazonian indigenous populations everywhere. Similar movements for indigenous rights can also be seen in Canada and the United States, with movements like the International Indian Treaty Council and the accession of native Indian group into the Unrepresented Nations and Peoples Organization. There has also been a recognition of indigenous movements on an international scale, with the United Nations adopting the Declaration on the Rights of Indigenous Peoples, despite dissent from the stronger countries of the Americas. In Colombia, various indigenous groups protested the denial of their rights. People organized a march in Cali in October 2008 to demand the government live up to promises to protect indigenous lands, defend the indigenous against violence, and reconsider the free trade pact with the United States. The first indigenous president to be democratically elected in Latin America was Benito Juarez, a Mexican of the Zapotec ethnic group, who was elected President of Mexico in 1858. With the rise to power of governments in Venezuela, Ecuador, Paraguay, and especially Bolivia where Evo Morales was the first indigenous descendant elected president of Bolivia, the indigenous movement gained a strong foothold. Representatives from indigenous and rural organizations from major South American countries, including Bolivia, Ecuador, Colombia, Chile and Brazil, started a forum in support of Morales' legal process of change. The meeting condemned plans by the European "foreign power elite" to destabilize the country. The forum also expressed solidarity with the Morales and his economic and social changes in the interest of historically marginalized majorities. Furthermore, in a cathartic blow to the US-backed elite, it questioned US interference through diplomats and NGOs. The forum was suspicious of plots against Bolivia and other countries, including Cuba, Venezuela, Ecuador, Paraguay and Nicaragua. The forum rejected the supposed violent method used by regional civic leaders from the called "Crescent departments" in Bolivia to impose their autonomous statutes, applauded the decision to expel the US ambassador to Bolivia, and reaffirmed the sovereignty and independence of the presidency. Amongst others, representatives of CONAIE, the National Indigenous Organization of Colombia, the Chilean Council of All Lands, and the Brazilian Landless Movement participated in the forum. Genetic history of indigenous peoples of the Americas primarily focus on Human Y-chromosome DNA haplogroups and Human mitochondrial DNA haplogroups. "Y-DNA" is passed solely along the patrilineal line, from father to son, while "mtDNA" is passed down the matrilineal line, from mother to offspring of both sexes. Neither recombines, and thus Y-DNA and mtDNA change only by chance mutation at each generation with no intermixture between parents' genetic material. Autosomal "atDNA" markers are also used, but differ from mtDNA or Y-DNA in that they overlap significantly. AtDNA is generally used to measure the average continent-of-ancestry genetic admixture in the entire human genome and related isolated populations. Genetic studies of mitochondrial DNA (mtDNA) of Amerindians and some Siberian and Central Asian peoples also revealed that the gene pool of the Turkic-speaking peoples of Siberia such as Altaians, Khakas, Shors and Soyots, living between the Altai and Lake Baikal along the Sayan mountains, are genetically closest to Amerindians. This view is shared by other researchers who argue that "the ancestors of the American Indians were the first to separate from the great Asian population in the Middle Paleolithic. The genetic pattern indicates indigenous peoples of the Americas experienced two very distinctive genetic episodes; first with the initial-peopling of the Americas, and secondly with European colonization of the Americas. The former is the determinant factor for the number of gene lineages, zygosity mutations and founding haplotypes present in today's indigenous peoples of the Americas populations. Human settlement of the New World occurred in stages from the Bering sea coast line, with an initial 15, 000 to 20,000-year layover on Beringia for the small founding population. The micro-satellite diversity and distributions of the Y lineage specific to South America indicates that certain indigenous peoples of the Americas populations have been isolated since the initial colonization of the region. The Na-DenÃ©, Inuit and Indigenous Alaskan populations exhibit haplogroup Q (Y-DNA) mutations, however are distinct from other indigenous peoples of the Americas with various mtDNA and atDNA mutations. This suggests that the earliest migrants into the northern extremes of North America and Greenland derived from later migrant populations. Scientific evidence links indigenous Americans to Asian peoples, specifically eastern Siberian populations. Indigenous peoples of the Americas have been linked to North Asian populations by the distribution of blood types, and in genetic composition as reflected by molecular data, such as DNA.